Over 13+ years of experience in IT Services for Class Action Settlement. Translated Plan of Allocation to Loss Calculation engines to distribute over 20 billion USD for over 300 Securities Litigations. Design, development & support of Call Center Systems and services. Data Analysis and programmatic intake of billions of addresses on various formats and geographies. Design and development of online claimant web portals, adhering to all major security standards and which handle a high volume of user traffic. Design, development & support of Claim Processing solutions. Experience in handling Notice mailings, Custom letter generation and Letter response handlers for projects ranging from small/medium size to very large projects in terms of number of claimants. Work closely with various architect teams in developing state-of-the-art class action litigation tools. Design, development & support of Web services which are accessed by a variety of users including site offices and point of sales. Designing various custom work flows for claims & document processing/review. • The BP Deepwater Horizon (Gulf Coast Claims Facility) Class Action Settlement. • GM Ignition Compensation Claims Resolution Facility. • Stryker Modular Hip Settlement (Mass Tort). • IPO – a consolidation of litigation of Initial public offerings of nearly 300 companies. • General Motors Corp Bankruptcy Chapter 11 reorganization. • Financial remediation services for American Express. 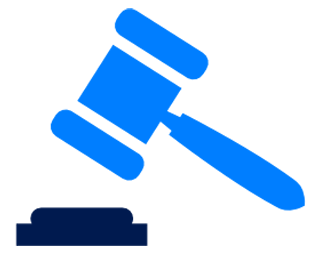 • Auction Houses Antitrust Settlement. • Bank of America Securities Litigation. • Liberty Mutual Hurricane Sandy ADR Program. • AAS – Air Cargo Shipping Services Antitrust Lit. (American Airlines). • Harvey v. Metlife Settlement. • Expedia Hotel Taxes and Fee Litigation. • AIG OTS Remediation regulatory.